Standing on three legs these bowls make a distinctive appearance in any interior. Use the vessels to display fruit, accessories or plants. Made from Engobe colored terracotta and glaced inside to resist water. 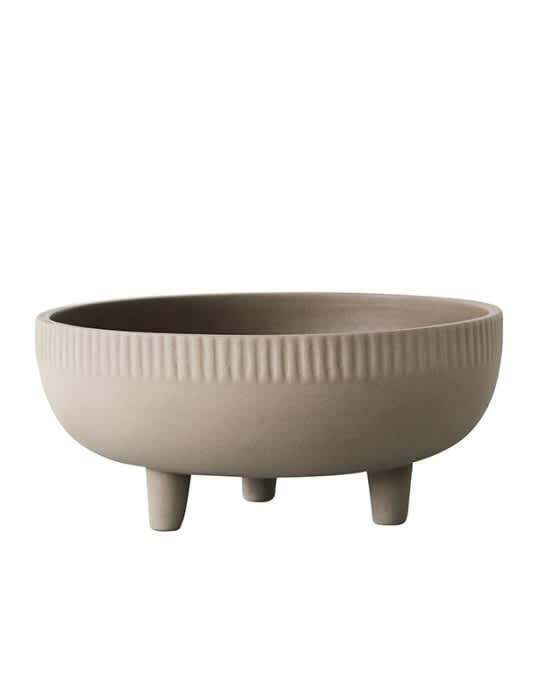 Elevate your home interior using these new classic bowls available in two sizes.